I'm excited to share that REALLY good things are starting to happen for my Niche Site Project 4 site! The last few monthly results have felt pretty…lame. Even though that is to be expected for a brand new site, I still don't like posting results that are so unimpressive. However, I feel like my site turned a corner during the month of March and I'm quite happy with the results. And perhaps even more interesting is the results that I've seen in the first 7 days of April. 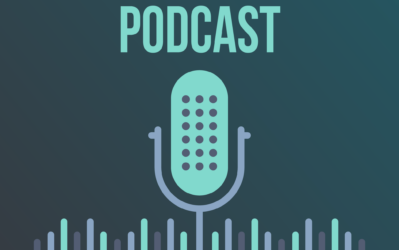 I've got lots to cover: earnings and traffic report, what I did that helped, link building strategies, reports from other participants, and more. In order to keep things in perspective, at the end of March, the site was about 7 months old. I've always said from the beginning that it typically takes about 6 months for a site to really start showing signs of life in Google, and that appears to be the case for my site. Google has finally found my site and the site is growing rapidly in terms of Google traffic. Also to keep things in perspective, my site earned just $15.51 in February. However, in March the site earned $128.41! An 8x growth in earnings! Here's the earnings screenshots so you can see where the revenue came from. A conversion rate of just 3.62% is not that great; however, I'm happy with the earnings of $89.25. Overall, the clicks from my site to Amazon continue to increase and that's what I'm focusing on right now. The early signs in April are good that the conversion rate is increasing (more people that go to Amazon are buying products). The above screenshot is from Ezoic Ads. I'm using Ezoic for display ads on my site. Many of my articles are informational and so the only way to make any money from them from display ads. I'm not super happy with the earnings per visitor from Ezoic, but for now, it's the best option I have. As soon as my site is getting enough traffic, I will be switching over to Mediavine ads. I expect the earnings per visitor to go up at least 3x as soon as I switch to Mediavine. (This is based on my own experience with other sites I have that use Mediavine). 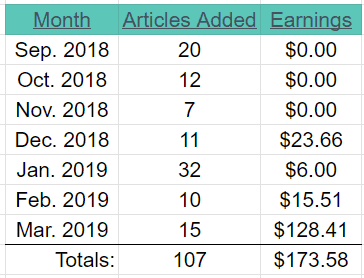 So, with $39.81 in earnings from Ezoic Ads and $89.25 in earnings from Amazon Associates, my niche site project 4 site earned a total of $128.41! I'm VERY happy with those results on a site about 7 months old. But I'm even happier with the growth trajectory that I'm starting to see. At the end of February was when my site finally started to show some signs of life in Google. My rankings and traffic from Google just continued to increase with each passing week during the month of March. All the hard work and foundation I've laid is starting to show that it's working! The site is still young, so most of my excitement comes when I think about where the site can be in another 6 months or a year. However, I think it's important to celebrate the growth trends that are starting to occur; especially when it comes to traffic and rankings in Google. The spike in traffic is so high that you can barely tell that each previous month was increasing in Google organic traffic as well. Each week is setting a new record high over the previous week in terms of Google traffic. And that includes the first week of April (highest Google traffic week so far). The traffic from social media sources continues to grow. Pinterest is the only social media platform that I've focused on and for that reason, most of the social traffic is from Pinterest. As you can see, the traffic from Pinterest continues to grow at a nice rate. However, Google traffic is growing faster and it's very possible that the amount of traffic coming from Google will eclipse the amount of traffic coming from Pinterest in the month of April. What Changes Were Made During March? Now I want to jump into what work was actually put into the site during the month of March. In total, I published 15 new articles on the site. Most of the articles published in March were affiliate keywords (“best xyx product”). The growth of the site in March did not come from these new articles I published but is clearly coming from the old articles I published a few months ago starting to rank better and better in Google. New content tends to take a few months to rank. I went back through all my old articles and added a Table Labs chart to each article. I added the charts under the introduction paragraph and listed the top 3 picks for that particular category. In theory, some people just want to quickly see what the best product is and they will happily click through to Amazon without reading the entire article. I set up a special Amazon tracking id for my Table Labs tables, so I can now see that roughly a third of all the Amazon associates clicks on my site are generated from those new tables. 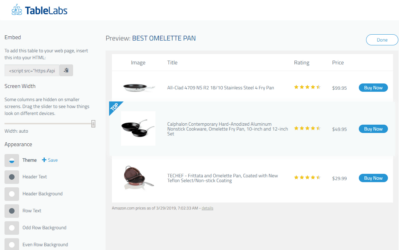 You can get Table Labs here, the easiest way to set up great looking Amazon product comparison tables. In addition, I added Amazon “Related Product” native ads in the middle or at the bottom of each of my articles. I simply used the Ad Inserter plugin to quickly do that across my entire site. I'm not seeing much earnings activity on these related product widgets, but it doesn't appear to be hurting my traffic either, so I'll keep it for now. I actually created an opt in form during the month of February, but I forgot to report on it last month. So, for the entire month of March I've had a popup that appears after 5 seconds and I'm building an email list. I'm using Opt-in Monster to collect the emails. And I'm using ConvertKit to send the emails. My email list size is now 51 people. I wish I could say I've done more with the list, but I haven't yet. I just have 1 autoresponder email that goes out. In the next month, I plan on writing out a longer email series that will drive people back to my site where they can read articles and hopefully click on my affiliate links. I also found another 50 keywords and have started assigning those out to my authors. This next set of 50 keywords are all Amazon affiliate focused keywords, and many of them are higher priced items. I tried a few different things in the month of March that led to several great links and clear movements in the SERPS. First, I gained a few more links through “Link Swaps” as I explained last month here. Basically, I asked for a link and in exchange, I gave them a link from a different site of mine. This strategy has worked pretty well, but I plan on no longer pursuing these links for the foreseeable future. I simply don't want my link profile to be too heavy with these types of links. In total, I have about 10 links from this “Link Swap” strategy…most of them gained during the month of February, but a couple were in March. During the month of March, I had one of my authors reach out to a total of 134 sites and we were able to complete 3 guest posts. The links we got were from sites that were just decent in terms of authority; however, they are all extremely relevant. I plan to have my author continue to reach out to additional sites during April, and I hope to land another 5 to 10 guest posts. I also tried a couple of guest posting services to get links to my site during March. First was Authority Builders founded by Matt Diggity. I acquired 7 guest post links through Authority Builders and the results were pretty impressive. As you can see, my first keyword went from ranking #32 to #6 in Google after getting 2 links! Keyword 2 went from ranking #19 to #10 (although it was #8 for a little while) after getting 2 links. My final keyword is a difficult to rank for keyword and it still hasn't cracked the top 100 after a couple of links from Authority Builders. It likely needs several more links to see much movement. In addition, it's a more difficult to rank for keyword than I like to typically go after, so I may not put much more effort behind it. Overall, I'm SUPER happy with the results achieved by the links received through Authority Builders! The Authority Builders platform is pretty unique in that you login to your account and then basically pick what websites you want links from. So, the price you pay depends on the type of link that you want. You can view what sort of link opportunities Authority Builders has for free right here. I also tried getting some links through The Hoth. The Hoth is a link building company that has been around for a long time and they sort of have the reputation of not getting very good links. However, I wanted to give them a shot. So, I selected just 1 keyword I was hoping to rank a bit better for and bought a 3 link package of guest posts (DA 30+ links). I ordered the links on March 6th, but those links have still not been built yet. So, I have no results to share since the Hoth is still working on it! Going forward, I am going to continue to do some manual outreach for guest posts and will likely go back to Authority Builders for some more links. If I decide to try any additional strategies or services for link building, I will let you know. Continue to post 10 to 20 articles a month. Build out a longer email autoresponder series so I can start monetizing my email list (that is slowly growing). Build another 5 to 10 guest post links a month. Continue to monitor and tweak Ads and Amazon links to optimize earnings. Apply to Mediavine as soon as I'm able to. As exciting as the growth in March was (8x earnings from previous month! ), the first week in April has been even better! Through the first 7 days of April my site has earned just shy of $100! Yep, in the first week of April, the site has earned nearly as much as the entire month of March! In fact, I'm starting to think about when I should reveal the site publicly. After all, this is a PUBLIC niche site project, which means that I will at some point reveal the domain for you to see. 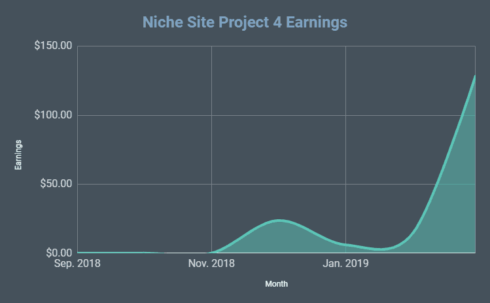 My original plan was to wait until it was earnings between $500 to $1000 a month in order to show that the site was built without the “help” of Niche Pursuits. However, I could be convinced to reveal the site sooner rather than later to keep the project interesting. What do you think…when should I reveal the site? As a reminder, this project is not just about my own site. There are hundreds of people that have decided to build a niche site right along with mine. You can read the reports from other participants below! 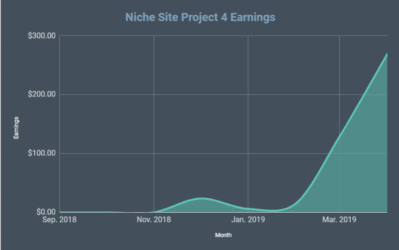 If you want to join the project and start reporting on your own niche site, you can join Niche Site Project 4 here. Real Name or Nickname Number of articles TOTAL published on your site since inception? Number of Total “Sessions” your site received in March 2019? Earnings for March 2019? What was accomplished in March 2019 for your site? Got a few more articles published, optimized a bunch of older posts that are starting to get traffic, total sessions doubled since last month, revenue increased by about 50%. Getting clicks but not much sales. Hopefully, April will be a huge month. Rather than just trying to make sales, been focusing a lot on reducing negative factors related to the product. Reduced churn rate and bounce rate. Avg revenue per customer is trending up and so is the lifetime value of the customer. Now working on finishing the site refresh and publishing the email content as blog posts to create “pillar” content for better SEO. Not a great month. Been so busy with work. Need more content. I launched the site right at the end of February, so it has only been around for a month. I'm writing all the articles myself so I only have four articles so far. 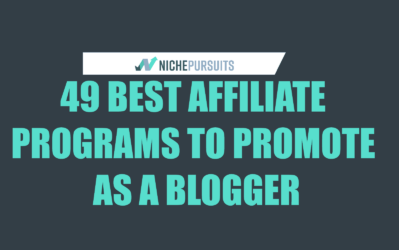 I joined a couple of affiliate programs but have no traction with those yet. I got good engagement from stereographers on facebook and also got a little bit of traffic from reddit. Additionally, as a direct result of this site I got recruited to write for another more established site, www.3Dor2D.com. So, even if I haven't gotten any monetary gains from my site yet, I have already gotten a lot of networking gains. Next month I plan to make my first pillar/skyscraper article and to focus a bit on link building. Published one post. Steady as she goes. Continued to publish content and implemented ads. Fair bit of work done on internal linking and added some affiliate links to some higher traffic posts. 6760 organic visitors, the rest mainly from pinterest. I will be testing other monetization options in April. Vast majority of content on site is informational, rather than buyer intent. Will continue to publish 8-10 posts per month until I get a better idea of likely revenue, before scaling up content production. 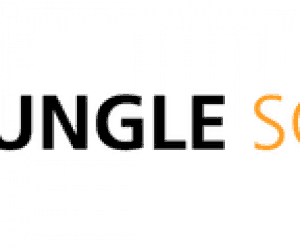 Built out site more and added more content. Also tried a small Facebook boost campaign, ready to start promoting site more. One new post published. Issues with Google Analytics. Showing 0 sessions but google webmaster tools showing impressions and clicks so need to trouble shoot. other things took up time so behind on posting. Adding new content everyday. Its a competitive niche. Link building is not yet started. I folded my earlier niche website – because of the topic burnout…And it not going anywhere. Although I was passionate about it. Published 5 articles – all 3,000 words+ and finally set up a a facebook page. I was expecting regular sell from the site as traffics are increasing. Got more clicks but the sell is not increasing. Content publishing is slower than February. What is the bounce rate and average length of session for your site? Also do you notice a difference in quality with pinterest visitors compared to SEO visitors? I am a couple of months in and pinterest is doing well at the moment but my bounce rate is higher than i’d like and i’m wondering if it’s because people on there are mainly browsing around and clicking what they see whereas Google visitors are higher intent. Bounce rate is 85%, which seems high to me and average time is 40 seconds. Pinterest time on site is 38 seconds. So organic traffic is longer, but not by much. Thanks Spencer! 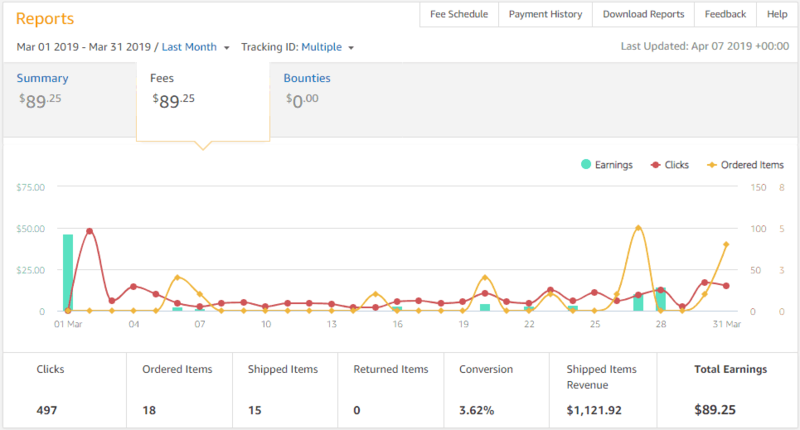 My bounce rate is 85% too which I was thinking was high but it is good to know that despite the bounce rate, traffic can convert into clicks and earnings! Well done on the positive results… my two cents is to wait until the site is earning at least 1,000 per month before you reveal the site ..I think that’s a figure a lot of people would be happy to achieve..and it’s already interesting to see the growth of the site over the last few months… which confirms what you have always said about a slow start and then a site starts to take off… best of luck. Thanks for your thoughts, Len! “let suppose i found keywords having monthly searches more then 500 and it completely fill Out all requirements which you mentioned in keywords research guide and i find another related keyword which have more then 10k monthly searches but not fit on that requirement which you mentioned so can i use this keyword as my LSI keyword? Q2: Whats your thoughts about PBN links? 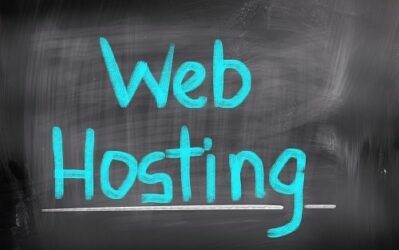 Q3: if we have authority site like 40+ DA PA on different niche so can we get links from our authority site both are hosted on same hosting? Q1 – Sure. Target the lower search volume keyword as the main keyword though. Q3 – Yes, but only if it relevant. Hey Spencer, how long are your articles on avg? Hi, Spenser. What anchor text did you use for the guest posts from Authority builders? Also were they targeting the page with the keywords you mentioned? I used the keywords as anchor text, and yes they were targeting the page I was trying to rank for. Helped a lot to make a growth on my niche site! Congrats on the growth! I’m interested to see what happens long term. I’ve used Authority Builders as a publisher on one of my mostly inactive blogs and most of the content is fairly low-quality and obviously paid links. I turned down the worst ones, but still got a manual penalty from Google after publishing 10-20 articles. Interesting, that’s good to know. Thanks for the heads up. Congrats on the progress so far! How much have you spent on the 107 articles so far? It would be great to also see an expense breakdown with these monthly earnings report as well. It will show the readers how long till break-even. I’ll have to start doing a cost breakdown. The cost per article probably averages around $75 to $100. Great results and I will be checking out Authority Builders as link building is a big weakness of mine. If you can hold off on the site until you are earning nearer the $1000 per month mark as it would be great to see it reach that number but like the previous person asked it would also be good to see the break even point. I’m definitely willing to hold off until it’s making $1000. I just want to make sure people are happy even though they don’t see the site. That’s great…nice start to April! You have an awesome conversion rate, Billal! Can you tell a bit what kind of products/category do you promote (without completely revealing it, of course)? Is it accessories? First, this NPS4 is such a great resources, thank you for doing this. Great news on the earnings, it just shows that even for a seasoned spicy veteran like yourself, it takes time, patience and lots of efforts. 01. How come you are using Ezoic for the Ads and not straight Google Adsense? 02. What tool / website are you using to monitor the rankings of your site? 03. How much are you paying for the back links? Always a sucker for a good case study. Loving the fact that you are revealing the number of articles, the length of the articles and the types and quantities of links. I think those are still the key factors in this game. Thanks Quinton! I may hold off on revealing until it’s doing much more each month then…if enough people agree. Yes, I did know that about Mediavine, but you do they still do require a second site to have 10k sessions a month to get approved. I’m just about there with this new site. Congrats for these nice results Spencer, it proves that working hard and promoting your website is the best recipe to get good organic traffic in 2019. Well, I have 107 articles, so I’m targeting 107 keywords so far. I think only 2 keywords rank in the top 3. Maybe 10-12 rank in the top 10. However, lots of long tails ranks on the first page (and likely the top 3) that I am not specifically tracking. I only track my 107 main keywords…although I could get a ton more data on Google Search Console. A future post I suppose. do you only target single word keywords? or do you also target keyword phrases? I only target keyword phrases, no single words. Awesome to see the progress, and I wish you well, but honestly I’m a little disappointed, your growth is due to PBN’s, dressed up as ‘guest post’ services’ sure, but you know they are PBN links ranking your keywords. Authority Builders is not a PBN. If you have evidence to show otherwise, let me know. These are all individually owned websites, not owned or operated by Authority Builders. Interesting case study, but it’s lopsided without the explicit inclusion of costs. You said that 107 articles have been added to the site at a cost of $75-$100 per article. That’s a cost – just for content – between $8,025 and $10,700. Given the site’s recent growth spurt and your experience building successful sites, I’m sure that investment will be worth it in the long-run. But it would nice to see those numbers upfront, so readers understand that scaling niche sites requires a not-insignificant investment of money. I’ll plan on doing a writeup in the next month that includes costs and included them on each monthly report going forward. As you know, you can build a site 2 ways: do it yourself or outsource everything. I’m outsourcing everything because I already have a full-time business on my hands. So, yes I’ve already invested $10k and that number could double in the next 6 months. Hopefully, I end up with a site making $10k+ a month to make it well worth the investment :). How much have you spent on the site so far? Is it something worth sharing with us? I’ll have a full post on this subject up today most likely. OR once you hit $5k. Don’t want to see it get ruined and attacked like your 1st one. I also like Mr Alexander’s idea. But rather than people making over $500. Then to the public, you can reveal when the site is generating more income to prevent negative seo and copying. That’s a good idea as well. Reveal first to those that have been putting in more effort into the project. Quick one! Can you show us a $75-$100usd typical 3,000 word blog post? I’ve two full time writing associates thanks to the nature of my biz (my email says it all.) This will be premium value for everyone’s reference for sure. If possible, I’d like to compare it with my two full time writing associates and adjust accordingly prior to launching future services and I am sure this will assist others a ton..perhaps a different URL/site different from this case study you’ve paid $75+ for a 3k word review/guide post? Thanks Francis! When I reveal the site, you can take a look. I don’t have an article I can share otherwise. Thanks for sharing, really appreciate reading posts that are well written and everything explained in an easy to understand way. You mentioned using the Hoth, how safe are they? I was tempted and very close to using them for one of my sites but pulled out in the last minute because someone said they can get your site penalized. Would really appreciate if you can explain more how they work. Once more thanks for sharing. The hoth has come a long way from where they used to be years ago. They are now doing real outreach for the guest post links and I do feel like these are safe links. To grow up your online business you can’t miss the backlink. That is why I have been looking for the best backlink provider. Fortunately, I found out SerpTrust which is operating by Dennis. He writes quality article and bet any his competitor at the price. I tell you here because I don’t want you to waste more money from other guest post provider. One more vote for SerpTrust.io. Had some nice up movement in SERPs after just a few links. Following you since the Joe and Justin Adsense Flipper Days. Your stuff is always good Spencer. Following these and it’s good to see that niche sites are still profitable even though the days of investing $50 into a site and seeing it hit the $10 a month within 3 months are pretty far gone…. I have a decent authority site I have been working on since CMSEO and it’s just hit 10,000 monthly Uniques. I haven’t monetized yet…. Been putting about $500 a month into links the last 3 months and another $300 into content. I’ll +1 Authority Builders and SerpTrust.io. Using both presently. Important to have good and varied suppliers as link velocity picks up. Thanks Daniel, sounds like you are putting some serious investment into the site! It says ezoic ads require a certain amount of visitors and you have less than their minimum – so how come you are able to use them?